We examine the effect of spherical and cylindrical pores to the Goos-Hänchen shift due to porous film structures. Dependence of the shift in terms of the porosity and pore structure are shown. Measurement of this shift could be used to distinguish between spherical and cylindrical pores on a thin film structure. C. M. Olaya, W. Garcia, and N. Hermosa. 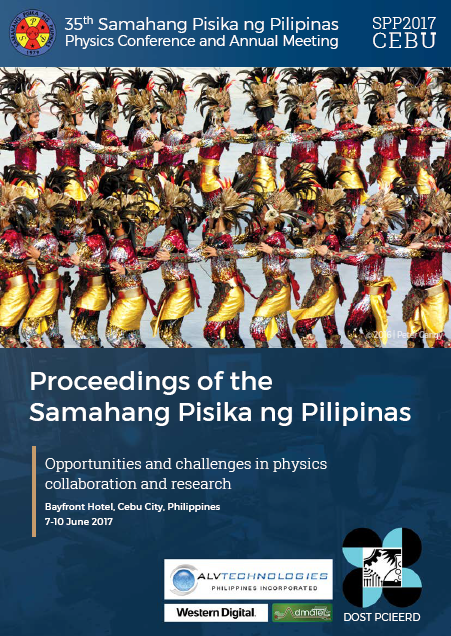 Goos-Hänchen effect on thin films with spherical and cylindrical pores, Proceedings of the Samahang Pisika ng Pilipinas 35, SPP-2017-2C-03 (2017). URL: https://paperview.spp-online.org/proceedings/article/view/125.